A few weeks ago I decided to try the Saucony Zealot ISO 2. The Saucony Zealot was one of my favorite shoes last year. The Saucony Zealot ISO 2 came out a couple of months ago but due to injury, I was cautious to try anything new. 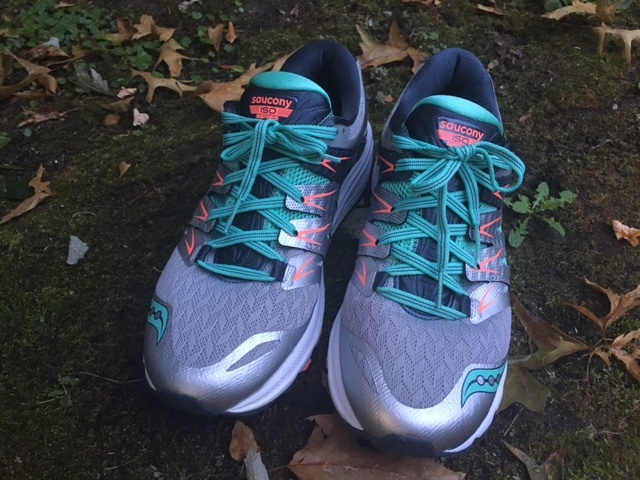 My injury took over the blog for a while, but since this is a running blog, it affected my ability to train and try new shoes (not that running is everything). So once I felt comfortable to experiment with new shoes, I decided to try the Zealot. I was both curious and excited to see what the newest update had to offer. At work, our Saucony rep told us it was going through significant changes, so I was also nervous. It was only the second model, so the shoe doesn’t have anything consistent behind it. Saucony is not paying to promote their shoes and remember what works for me, might not work for you. See: why online running shoe reviews are (mostly) worthless. The Saucony Zealot ISO 2 still uses the ISO and sock-like upper fit which I like. It fits similar to the first model. However, it is much smaller. In the Saucony Zealot ISO, I wore a size 9.5. However, when I put the 9.5 in the ISO 2, I immediately thought it was both too tight and too narrow. Sizing is never a big issue, and I went with the size 10. When comparing, it appears the Zealot 2 has a much more narrow toe box. After getting a more appropriate size 10, I liked the fit, and it felt much better on my foot. The previous Zealot was firmer and lower to the ground. I liked to use the shoe for “faster” paced runs. The Zealot ISO 2 includes the Saucony Everrun material which makes it feel less like the Kinvara and more like the Triumph. For me, that is a good thing since the Triumph is one of my all-time favorite running shoes. There is much more cushion and more “shoe” to the Saucony Zealot ISO 2. If you like more of a shoe, then you’ll like the update. Even though the shoe is drastically different, I like the update. I was in need of either a new pair of Saucony Triumphs or something comparable to replace them in my shoe rotation. I think the Saucony Zealot ISO 2 fits that and I’ll continue to use them. They are significantly more shoe and cushion than the debut edition but for me, that is not a bad thing. What is your all time favorite running shoe? Do you get nervous for shoe updates? Ooh – thanks for this! I loved the first Zealot b/c it worked well for tempos. And I like the Triumph for longer, slower runs. I think I’ll stock up on the first Zealot if I can find some on sale! Thank you so much for this review! I’ve been wanting to try the Zealot for a while. The Triumph are hands down my favorite running shoes and I use them for everything but tempo runs and speed workouts. For those workouts, I’ve been using the Kinvaras for years and, while they never gave me problems, I always felt a little meh when running in them because they’re too firm. But I still need a pair of lighter shoes in my rotation. Now that you said that the Zealot 2 are more like the Triumph and less like the Kinvaras, I’m officially SOLD! May I ask you what number you had for the Triumph since you said that you had to get a 10 for the Zealot? Thank you. I believe I’m also in the size 10 in the Triumph too. I like the colors of these shoes! I’m always nervous for shoe updates, because so many shoes have been ruined. Why fix what’s not broken? Great review. I also find Saucony’s to be narrow. I have had a hard time finding the right fit for them. I tried these out at a wear test at Fleet Feet and didn’t like them- too much shoe for me. But it’s just that I’m not used to wearing shoes that have this much cushioning. Some of the others who tested them out really liked them. Also, I had to go way up in sizing. Seemed like the zealots run very… short. I did just get the Saucony Kinvara and I really like those, though! 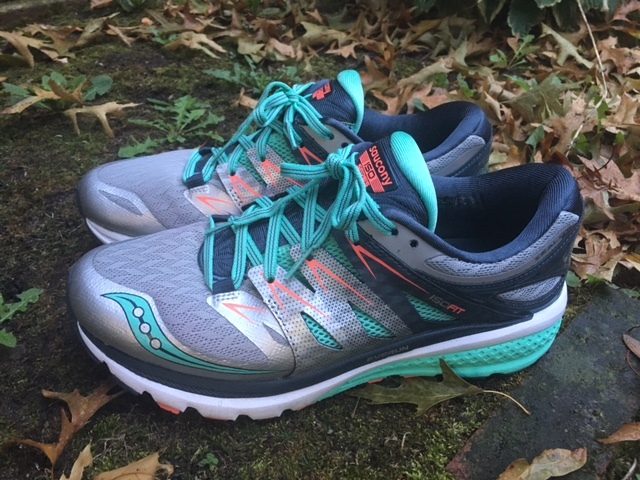 I kept meaning to read your review…as a person with a wider foot who loves saucony and loves a lot of wiggle room in the box I am apprehensive to move to the update. Might stock up on another pair of the first zealot! I am also one who prefers the triumph iso to the triumph iso 2 the iso 2 just feels so stiff and unresponsive to me or maybe each time I have worn them my legs are just tired, lol. The first one is like running on little clouds I have 4 to rotate through so and only 1 of the iso 2 so I am good for a while.